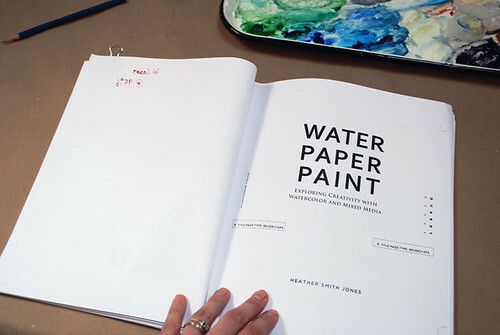 Today it's an honor for me to share with you a few peeks inside my book, Water Paper Paint, Exploring Creativity with Watercolor and Mixed Media which releases January 1, 2011. This project, which is still going, has been nearly a year in the making. Last summer the executive editor for Rockport Publishers/Quarry Books, Mary Ann Hall, approached me with an idea. Through many conversations, exchanging thoughts and ideas, planning, writing, making, photographing, and everything ten times over, etc., here we are. This stage feels to me like a beautiful culmination of it all. Seeing the ideas come together and turning actual pages is so exciting! I am very grateful for the hard work of my good friend Rachel (the photographer), Mary Ann, the artists and contributors who share their talents, and for the individuals who have been and are currently proofing, editing, and designing this book. 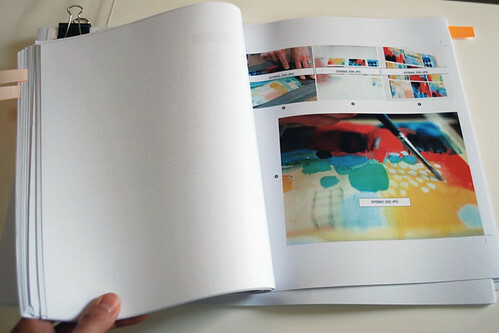 Many hands help give shape to these ideas and the folks at Quarry Books have made this a truly great experience. habit has a treat in store for July which you can be part of and a new joy + ride is up. 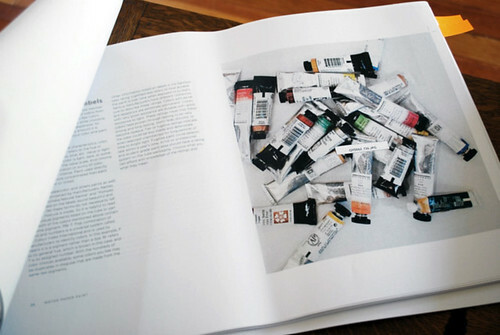 Today I will be reading through each page and marking up the pages with a colored pen! Wahoo! Thanks for stopping over, more soon!